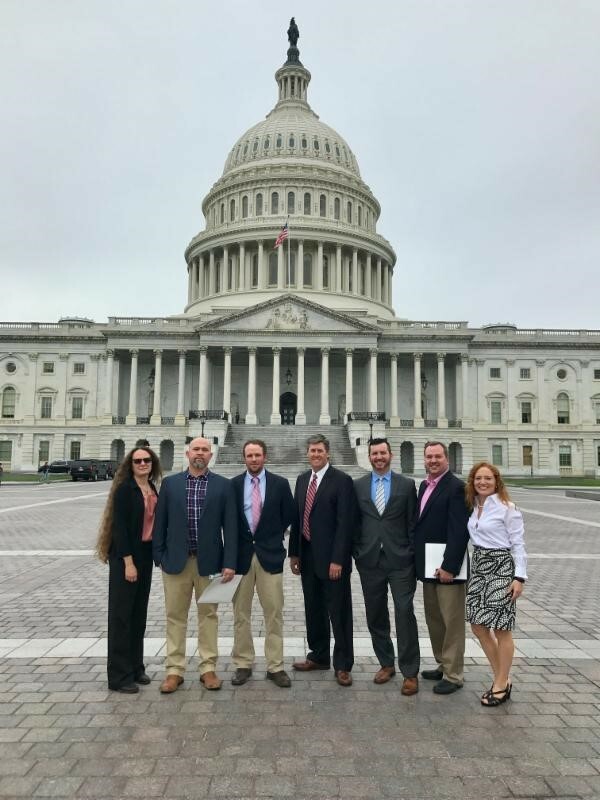 On September 13th, members and staff from NCBPA and SCBPA traveled to Washington, DC to advocate for increased federal support of the home performance industry. This was the second such trip for NCBPA and the first for SCBPA. Provided below are summaries and photos from our legislator meetings that we hope inspire you and your company to participate in future state and federal advocacy and lobbying events. This work is of critical importance to our industry right now as the little federal funding and rebates we receive is under attack. A second special thanks goes out to Kara Saul Rinaldi and Lizzie Bunnen of AnnDyl Policy Group for their efforts in pulling these meetings together. Jobs: Energy efficiency is one of the largest and fastest growing industries in both construction and energy. Policies and regulations that help ensure a highly skilled and available workforce are important to our businesses. Appropriations: We are adamantly opposed to the administration’s budget request that proposes severe cuts to energy efficiency programs, particularly at the DOE including ENERGY STAR, the State Energy Program (SEP), the Residential Buildings Integration program within the Building Technologies Office and the Weatherization Assistance Program (WAP). Tax: Upfront costs of home energy efficiency improvements remain a significant barrier for many homeowners. Tax incentives that reduce the upfront costs are beneficial to our industry and our customers. We seek stable and predictable federal tax policy in order to create jobs, invest in our businesses and deploy new technologies. The 25C tax incentive for existing energy efficient homes and 25D tax incentive for technologies that includes geothermal heat pumps should be continued. PACE: We oppose the PACE Act of 2017 that would effectively eliminate this valuable residential clean energy financing program from being used across the country. PACE has been greatly successful in both commercial and residential markets and has the necessary state and local oversight to prosper. In each Legislator meeting listed below, our advocates introduced themselves, their businesses and spoke to a few of the talking points listed above. Focal points for the meetings are listed below, matching leadership and committee roles that the Senators and Congressmen hold in the Senate or House. Senator Graham is a member of the Appropriations Committee. In our meeting with his staff, we mostly focused on ensuring supportive appropriations for the programs listed above. Senator Scott is a member of the Finance and Banking Committees. In our meeting with his staff, we focused on opposing residential PACE-killing legislation and supporting the continuation of the 25C and 25D tax credits. Senator Rice is a member of Ways and Means (the House tax writing committee). In our meeting with he and his staff, we focused on support of 25C, 25D and 45L. 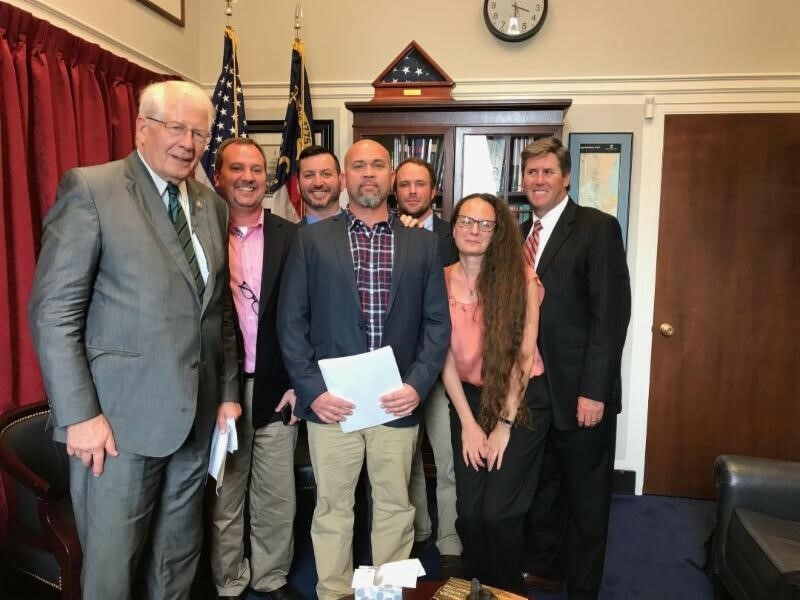 Our meeting with Congressman Wilson’s staff focused on extending tax credits including 25D and inviting him to visit homes in his district with geothermal and energy efficiency installations. Congressman McHenry is a member of the Financial Services Committee and Deputy Majority Whip. In our meeting with his staff, we focused on opposing PACE-killing legislation and extending the 25C tax credit. Congressman Price is a member of the Appropriations Committee and Ranking Member of the Transportation, Housing and Urban Development Subcommittee. 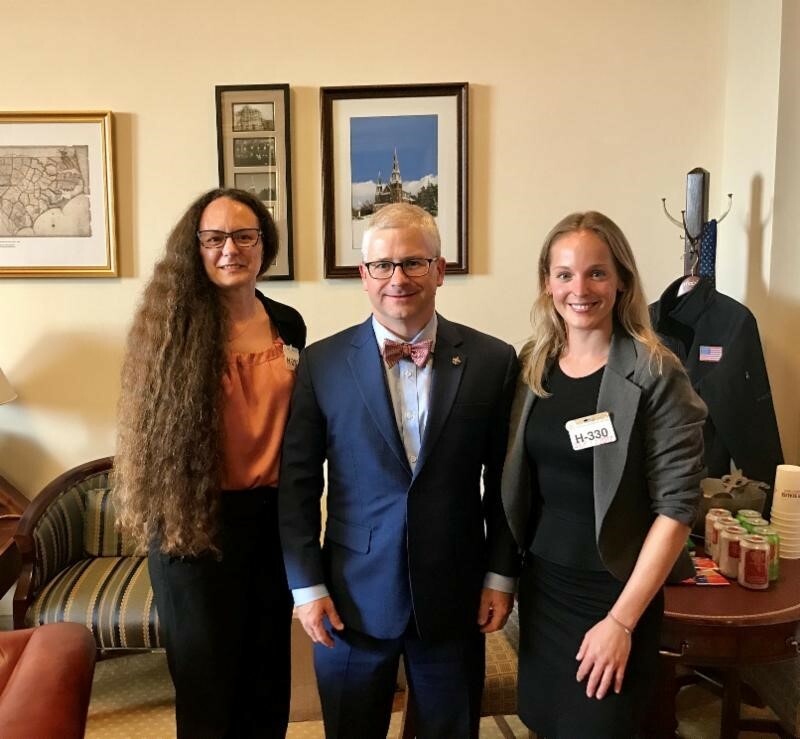 We spoke with he and his staff about opposing PACE-killing legislation and supporting higher appropriations for the programs referenced above. 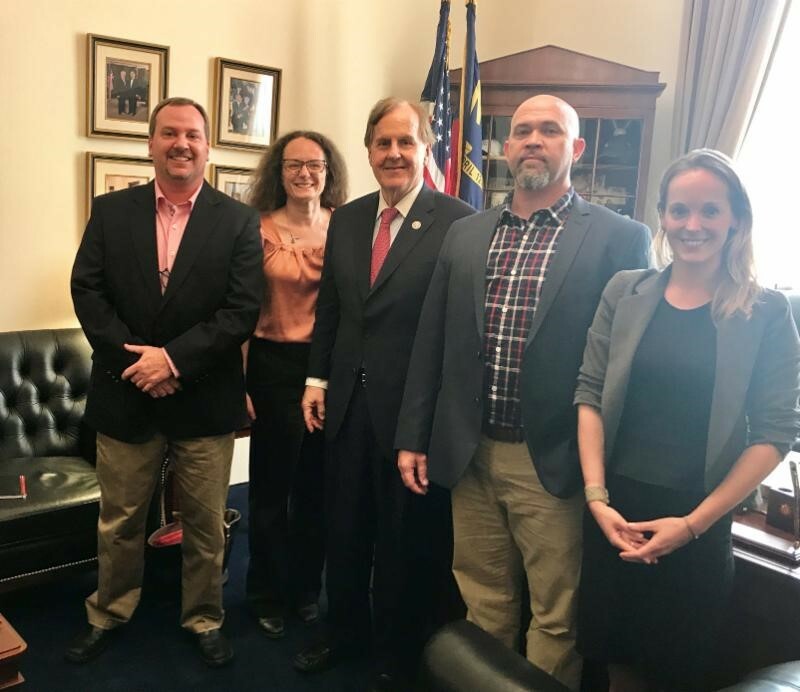 Congressman Pittenger is a member of the Financial Services Committee. In meetings with he and his staff, we focused on support for tax credits and opposition to PACE-killing legislation. Senator Burr is a member of the Finance Committee. We mostly focused on extension of tax credits in our meeting with his staff. No matter what your role, the size of your company or your experience in advocacy work… this work is of critical importance to our industry and needs your support! Members from NCBPA and SCBPA must play an active role in state and federal politics in the coming months and years to protect and protect our industry. With DOE budget issues looming, workforce development opportunities needed and regulatory improvements available, a loud voice from hard working companies like yours is needed! Please contact me directly to get involved in our advocacy and lobbying efforts in NC and SC. PreviousPrevious post:PRESS RELEASE: New report provides investment case for NC’s energy efficiency industryNextNext post:New Consumer Education Websites, Conferences, Market Reports and More Coming Soon!